Wonderin Aloud. Crazed Institution. Conundrum. To Cry You A Song. A New Day Yesterday. Flute Solo. Bouree. Living In The Past inst. Guitar Improvisation. Wind Up. Back Door Angels. Instrumental. Wind Up reprise. Locomotive Breath. Sound Quality is Excellent. 1xLp Issued in several Diff coloured vinyls and picture discs. 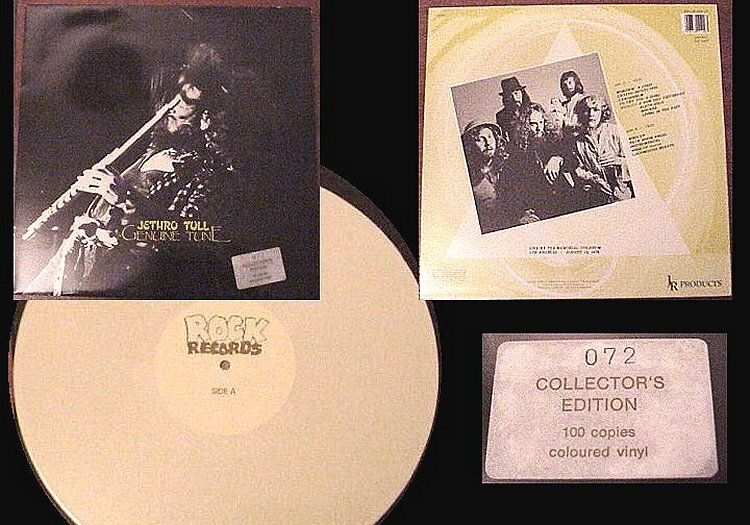 This one Ltd Ed of 100 in White vinyl.